So, I’m going to be doing this a bit out of order. 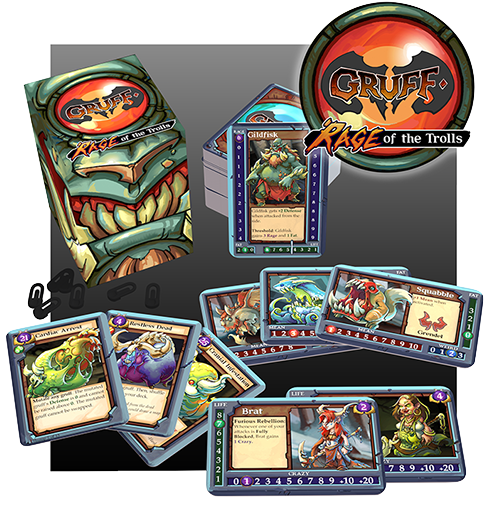 Rage of the Trolls is the second expansion for the game Gruff, from Studio Woe. It IS a standalone expansion, with some gameplay mechanics exclusive to this set, so it’s perfectly reasonable to review on its own. But, as many of our readers know, I prefer to review the core game first. But I have a whole bunch of new releases, and this expansion is one of them. Once upon a time, the three Billy Goats Gruff killed a monstrous troll. What ensued was an arms race between weaponized goats that drove the trolls to the edge of extinction. That’s pretty much where Rage of the trolls picks up the plot. This standalone expansion adds solo and cooperative play to the game of Gruff in the form of Trolls. Before I can talk about those Trolls, however, I need to walk through the regular game. The first thing a player will do is select the Sheppard they want to play. Your Sheppard is you, and this set gives you five choices. Every Sheppard is a unique character with their own individual abilities. Second, the player chooses three Gruffs to make up their herd. This set has six new Gruff in it, meaning there are enough for two players. Like the Sheppards, each Gruff is their own entity. Whereas Sheppards each have stats within one or two of each other, The stats, and abilities, of different Gruffs vary wildly. Gruffs have three main stats, Mean (offensive strength), Fat (defensive strength), and Weird (Weird works together with a Sheppard’s Crazy stat play cards). To compare, Squabble has a maximum Mean of 10, but a maximum Weird of only 3, so he doesn’t contribute greatly to playing higher cost cards but can do a lot of damage. Conversely, Thump has a maximum of 3 Mean and 7 Weird. Stats and individual abilities aren’t the only things Gruffs bring to the table. Each Gruff has 15 Ability Cards, and once a player has the three Gruff they want to use, they choose eight of those cards from each Gruff to use in that game. There are eight cards marked as recommended for a new player, but once you are used to how the game works you can start customizing your deck for a bigger challenge. From there the goal is to kill the other Sheppard’s Gruffs or to kill the other Sheppard themselves. I mentioned earlier that the Trolls bring in Co-op and Solo play into the game. The four Trolls that come in the set count as both Sheppards and Gruffs, and can be targeted like either of them. Normally a Troll has three stats: Life, Fat, and Rage (that acts like Mean, but also as a sort of timer for the Troll’s AI system), but the turn order reference cards also have a Crazy track, so you could use them as an actual Sheppard as well (although that is technically intended to save unused Crazy points in co-op mode). For Co-op play the Troll gains one Rage at the start of its turn, (two if you’re playing solo). Then a Behavior Card from the Troll’s control deck gets revealed, and the Troll takes any actions listed that are equal to or lower than their current Rage total. When all five cards have been revealed, they get shuffled and play continues until one side or the other wins. This is a game that gets better the more you play it. It’s not a matter of replayability, it’s a matter of knowledge. The better you know the cards, the better your experience will be. It doesn’t excel as a game you pick up and try on a whim. Do that, but know it’s better when you play it more. Grab Rage of the Trolls and play it solo. Looking for a semi-regular date night game? Do it! 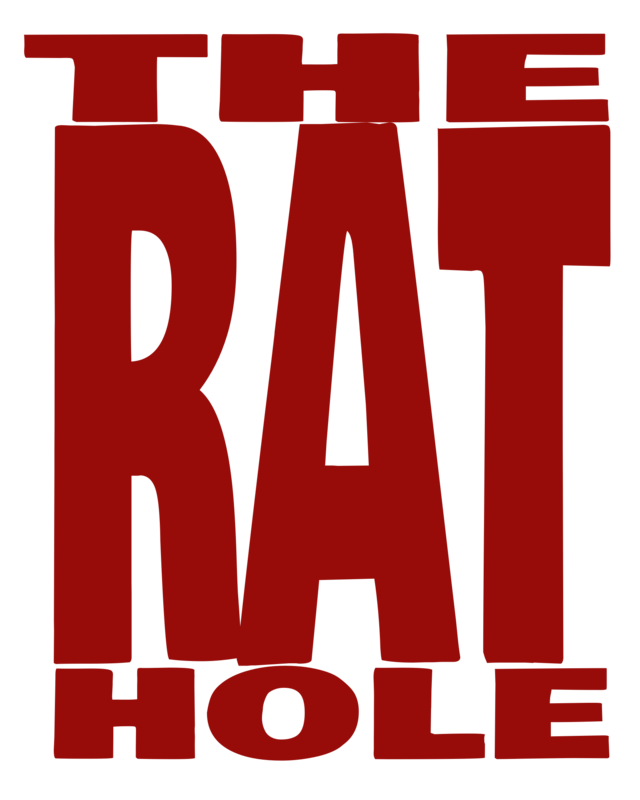 Keep an eye on our Facebook Page in early December for a couple fun Gruff posts I’ve pre-scheduled, just in case I can’t fit the core game into my reviews before then. Until then you can check out Studio Woe online at www.studiowoe.com or on their Facebook page, facebook.com/studiowoe. You can click the picture and still get in on a preorder for the Kickstarter Exclusive game Gruff: Stuff of Nightmares. It’s tentatively scheduled to ship next month, so don’t wait long. ← Making Your GM Cry…with Joy!